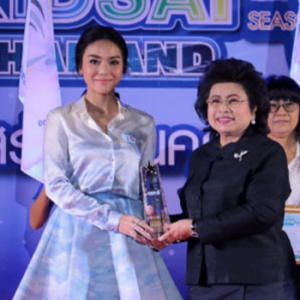 ongratulations to Ms. Kannarun (Prang) Wongkhajornkai, a Tourism and Hospitality Management major with 1st class honors from MUIC Class of 2012, who received the Brand Ambassador Award of Kidsai (educational category) from Kidsai Thailand Season 3, which was held on September 20, 2017 by TV 360, Channel 3. This award is given to a person who sets a good example for the youth. We are so proud of you!